Canada’s #1 Online Gold & Silver Buyer! Licensed and Accredited Staff Backed By Over 50 Years Experience. Same Day Offers And Payment In 24 HOURS! Satisfaction Is Guaranteed - No risk, No obligation and All Shipping Is FREE! Fill Out The Form Below To Get Your FREE Gold Xpress Pack today! Fill out the above form to get your FREE, Secure, Trackable and Insured GoldXpress Pack. Package your items and place them into your FREE, Secure, trackable and Insured Canada Post Xpress Pack, then drop it off at your nearest CanadaPost Mailbox or Location. Track your items every step of the way! Once you accept your offer, GET PAID WITHIN 24 HOURS. We promise you will be more than happy and we stand by our 100% Satisfaction Guarantee! The weight of the gold or other precious metals. Can you trust the guy at the pawn shop to understand the gold recycling market? Can you trust him to want to give you the best deal? At Goldd4Dollars.com our trusted gold experts will help you sell your gold online from the comfort of your own home at absolutely zero risk. In these troubling financial times, an easy way to make money is selling unused jewelry and coins that are just sitting around gathering dust. Our team of skilled professionals has a combined 50 years of experience in the gold buying industry and promises to make selling your items quick, simple and hassle-free. People have many reasons for selling their gold. You may have inherited items that will never be worn, a relationship has ended and you know longer want a reminder of that person, or simply just need some extra money to pay off bills or do renovations. Whatever the reason, we promise to offer you the best price for your items, and guarantee 100% satisfaction! As Canada’s leading national gold buyers, we've paid out millions of dollars to thousands of satisfied customers wanting to sell gold online. You, too, can also sell gold without even leaving your home. 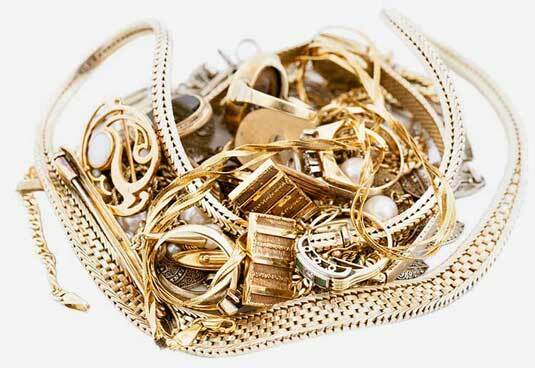 We buy all forms of gold, platinum and silver items. 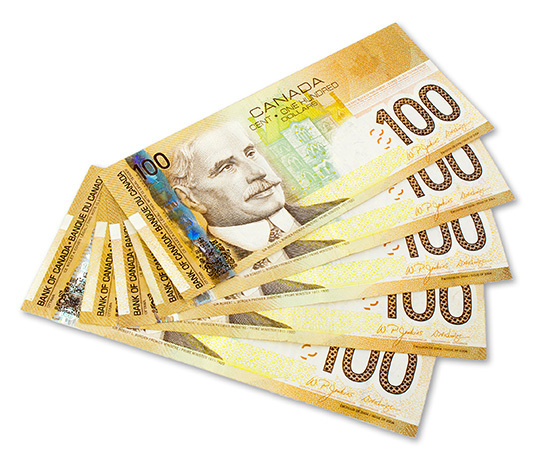 Our team has a combined 50 years of experience helping customer convert gold into cash. Our accredited appraisers are highly trained to assess the value of your gold and provide you with an offer within 24 hours of receiving your items. When you sell your gold jewelry to Gold4Dollars.com, you're not just selling to anyone. You're selling to a reliable company. Click here to learn more about Gold4Dollars.com and where to sell gold online today! Q: What's in my Gold Xpress Pack? A: Your Welcome Letter which includes your order number and your tracking information for when you send your items back to us. Your Customer Return Card which you need to fill out, sign and send back with your items. A bubble pack to protect the gold items you are sending in. A secure poly bag which includes your order number and personal information for extra security measures. A pre-addressed, FREE, Secure and Insured* CanadaPost Xpress Pack. A: After we evaluate your items and you accept our offer, we will issue your payment within 24 hours based on the payment method you have selected. Q: How do I know that you have received my items? A:You can track your Canada Post Xpress Pack from the moment it leaves your possession. We will also send you an email notification the moment we receive your items at our secure location. Q: What if I'm not sure if something is made of gold? Selling gold for cash is quick and easy with gold4dollars.com but we are always here to answer your questions. Before we issue payment for your items, we may verify the personal and payment information submitted. If we are not able to verify your information, we may ask you for additional information or documentation which may delay your payment. You may cancel the transaction, return any payment and request your items back at any time without penalty if done within fourteen (7) days from the date payment is issued.